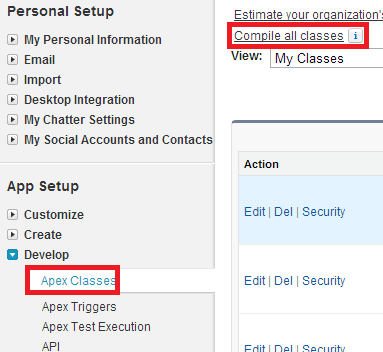 Infallible Techie: How to compile apex classes in Salesforce? 1. Go to Develop --> Apex Classes. 2. Click Compile all classes link.